With degrees in Psychology and Bible from Biola University in La Mirada, California and a Masters in Counseling Education from Central Michigan University, over 20 years of counseling experience and over 15 years of working in women's ministries, Bobbie understands the needs of women. 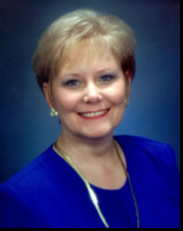 Her background also includes serving as Executive Director over a multi-state network of Christian counseling centers. "I was born in Long Beach California, Oh... guess you don't want to go back that far so I'll jump to the present. I love blond jokes, probably because I am one. Professionally, I am a Counselor with a degree in Psychology from Biola and my Master's in Counseling from Central Michigan University. I've been married to Bob for a long time. We have two grown children (Brigette and Brent)a son-in-law (Steve) and the love of our life - Skyler our 12 year-old grandson. Plus, we have two German Shorthairs and a Black Lab that have taken over our back yard. (If you have read Marley and Me then you have an idea about our Black Lab, Maggie)." Penny's educational background includes a bachelor's degree in Developmental Psychology from Michigan State and a Masters in Marriage and Family studies from Wayne State University. In addition to Penny's 15 years of experience in working with women on a wide variety of issues, she assists Carol Kent with Speak of for Hope, Inc., a ministry designed especially for those impacted by incarceration. "Well, let's see, I'm a Psychologist. I did my Bachelor's at Michigan State University in Developmental Psychology and a Master's in Marriage and Family Counseling at Wayne State University. I enjoy anything creative and own a custom design business for figure skating dresses. I have a grown daughter (Melissa) and a son-in-law (Brian). I have three grandchildren who are the loves in my life Hailey, Carter and Mason. They truly light up my life. I also have two Bichon-Poodles who firmly believe they own my home."